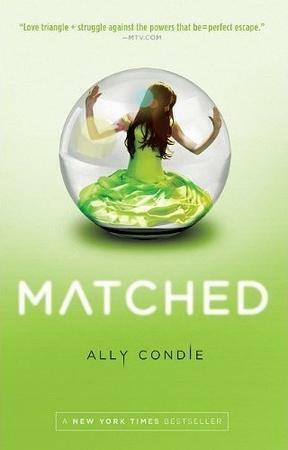 Third and final book in the Matched trilogy by Ally Condie. This book is told from the point of view of all three main characters: Cassia, Ky and Xander. The book starts in Xander’s POV, and he is a medic in Central helping to cure people from the Plague, as he is an Official. He is with his friend, Official Lei. They are administering the cure for the Plague with others, in the Central Hospital. Ky is with Indie, and they are flying together. They are working together for the Rising, following orders of the Pilot. When they are put together, Indie rightly guesses that it is time for them to do their job for the Pilot. Cassia is with the Rising. She is wearing a red dress she traded with the Archivists, and is waiting by the river for Ky to come meet her at night, but as Ky has now got his job, he never comes. All three are part of the Rising, and are working to bring the Society down. When the three are reunited, the Pilot takes them to work with some Anomalies to cure the mutation of the Plague that has broken out. On the way, Ky finds out that though Cassia and Xander are immune to the Plague mutation, Ky is not. Shortly after they reach, Ky gets the mutation and falls into the immobilized state. Xander and Cassia begin to work on the cure, Xander in the actual making area and Cassia helping in the sorting work. They try many cures, and none of them work. This only causes them to redouble their efforts, and they come across many potential ingredients, but they seem to be missing one. One thing, an unknown flower, which will cure the Plague mutation. This is a good, realistic end to the Matched trilogy. 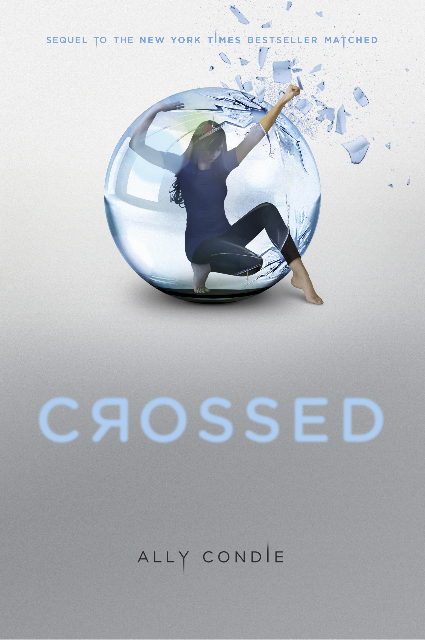 It, like Crossed, can’t compare to Matched, the best book, but unlike Crossed, this one was really enjoyable to read. It’s the longest of the books by far, and the second best of them. The trilogy is good for ages 11-14. Second in the Matched trilogy by Ally Condie. Ky has been taken away to fight the Enemy in the Outer Provinces, and Cassia is determined to find him. She leaves to find him after Ky is taken away, with the blue tablets and other items Xander gave her before she left. When she leaves, she meets a girl called Indie, who helps her hide her blue tablets when she is searched. The girls become friends fast. Meanwhile Ky has escaped from the camp he was taken to, with two friends, Vick and Eli. They escaped to the canyons together, where Anomalies are rumored to live. Meanwhile, Cassia has posed as an Aberration to find Ky, but when she learns that he has escaped, she follows him in to the Canyons with Indie. When in the Canyons, Cassia and Indie are so short of food that Cassia takes a blue tablet, believing it will save her life by not allowing her to die of starvation. Indie doesn’t know this, but Indie knows the truth about the blue tablets: they will make you go still, and if someone does not help you, you will die. Ky also learns this from his friends. Soon after, Cassia feels sick, but insists that she and Indie should keep on going. When Cassia fails to get better in a few days, Indie demands to know what she ate. Cassia admits to eating the blue tablet, and Indie is furious, though she knows it’s not Cassia’s fault. She explains how the blue tablets are dangerous, and is astonished at how Cassia kept walking through the tablet that should have immobilized her. Cassia hopes this means she is immune to the red tablet as well. Finally, the girls find Ky, Vick and Eli. Eli reminds Cassia of her brother, and she takes a liking to him. Vick is soon killed by the poisoned water in the stream, which Ky learns was poisoned by Society. He is depressed at his friend’s death, but agrees that they should keep moving. This book was actually quite disappointing, because it is very slow- it’s quite a letdown after fast-paced Matched, which is definitely better, whereas here it is set mostly in the canyons, with little opportunity for anything exciting. However, it’s still quite a good read, and answers some of the questions left hanging at Matched, though at times it does get boring. Good for ages 11-14. First of the Matched trilogy by Ally Condie. The book is in the point of view of a 17-year-old girl, Cassia Reyes. The story is set in the future when the Society (like the government) controls everything- where you live, who you marry, and even when you die. The book starts with Cassia getting ready to go her Matching Banquet, where she and other 17-year-olds will find out who they will marry. Cassia goes to the Banquet with her parents (her younger brother, Bram, isn’t allowed to go) and her childhood friend, Xander Carrow. At the banquet, Cassia is matched to Xander. This is extremely rare- normally you would be Matched to somebody you don’t know, from another Province. Cassia considers herself extremely lucky. Because most Matchees would not have known their Match, they each get a micro card containing information about their Match. Cassia and Xander go home after the event, and Cassia takes her tablets out of her gold compact. There are three tablets, which everyone has to have with them, at all times- one green, which calms you down, one blue, said to be able to save your life in an emergency, and one more. The red tablet. Nobody knows its use, but Cassia fears it will kill. The next morning, Cassia decides to view her micro card. When she first sees it, everything seems to be fine. She sees Xander’s photo and some personal information, but before she can read it another picture replaces Xander’s. It is another boy Cassia knows, Ky Markham. The micro card beeps and the card says Ky is now her Match. Cassia is confused and takes out the micro card, panicking. She goes to meet Xander and her friends at the game center, and an Official sees her there. The Official tells her the micro card was faulty, Xander is still her Match. She also tells her Ky is an Aberration, someone who either committed a crime or a relative committed a crime. A while after that, it is her Grandfather’s Final Banquet- when people turn 80 in Society, they have to die. At her Grandfather’s Final Banquet, inside her compact, her Grandfather shows her some poems hidden in the base of her compact. They are forbidden, because many years ago Society decided that only 100 of everything were needed- 100 poems, 100 songs, and 100 paintings. Cassia’s great-grandmother was one of the people chosen to help decide what should be kept and what should be discarded. She smuggled out the two poems, which Cassia receives. As her summer leisure activity, Cassia has signed up for hiking. In her group she finds Ky. Slowly she begins to fall in love with Ky. Society notices and an Official tells Cassia that due to Ky’s Aberration status, this is dangerous. The book is really good, mostly for girls 11-14. 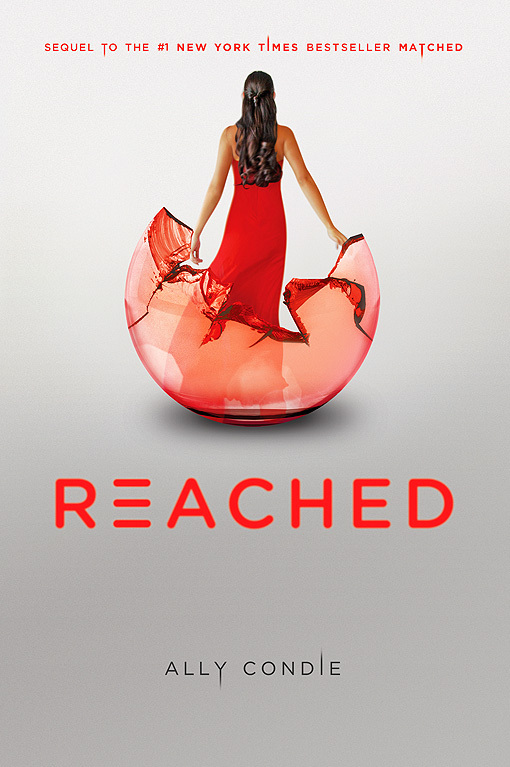 Compared to the second and third books, Crossed and Reached, Matched is by far the best in the trilogy.